A reliable source for Parts Cleaners information and a resource for accessing leading Parts Cleaners and suppliers. Parts Cleaners Parts cleaning systems are machines that act as one of the last steps in parts manufacturing. 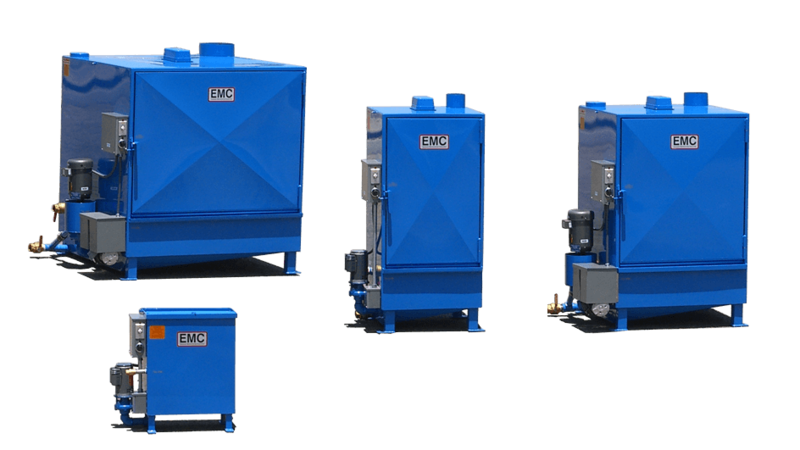 They are designed to clean, degrease and dry mass quantities of small or large parts before they are surface treated and shipped for distribution. Parts cleaners use water, aqueous chemical solutions, ultrasonic blasts and agitation to clean part surfaces; sometimes non-aqueous methods such as acoustic cleaning, vapor cleaning, vibration cleaning and laser ablation are used. Many parts cleaners use aqueous parts washing to remove surface oils, although non-aqueous methods are sometimes used when aqueous cleaning is impossible. The two main methods aqueous parts cleaners use are spray washing and immersion washing. Immersion washing, which is also known as agitation, immerses parts in a hot organic or water-based chemical solvent in a mesh basket that turns, rotates and shakes dirt off of the parts. Immersion washers can be as simple as a tub in which parts are placed or removed, or they can be a series of tubs with different washing solvents and automated arms. Until very recently, most aqueous parts washing solvents have been chemical-based, but the recent emergence in environmental and worker safety concerns and regulations have made the use of organic solvents more common. Ultrasonic cleaning is an innovative precision cleaning method that requires much smaller solvent concentrations than traditional washing; this cuts down on harmful and expensive waste. Tiny air blasts burst against parts' surfaces, cleaning in crevices that other washing techniques can't reach. Automotive parts washers often use ultrasonic cleaning to reduce the risk of malfunction due to part contamination. Surgical, dental and electronics parts washing often involve ultrasonic cleaning. In industries that depend on exactness and precision, contamination by oil, grease or dirt can mean the difference between smoothly operating machinery and loss of thousands of dollars or even lives. Parts cleaners are invaluable in industrial manufacturing, not only because they provide thorough cleaning solutions, but because they also reduce labor costs.